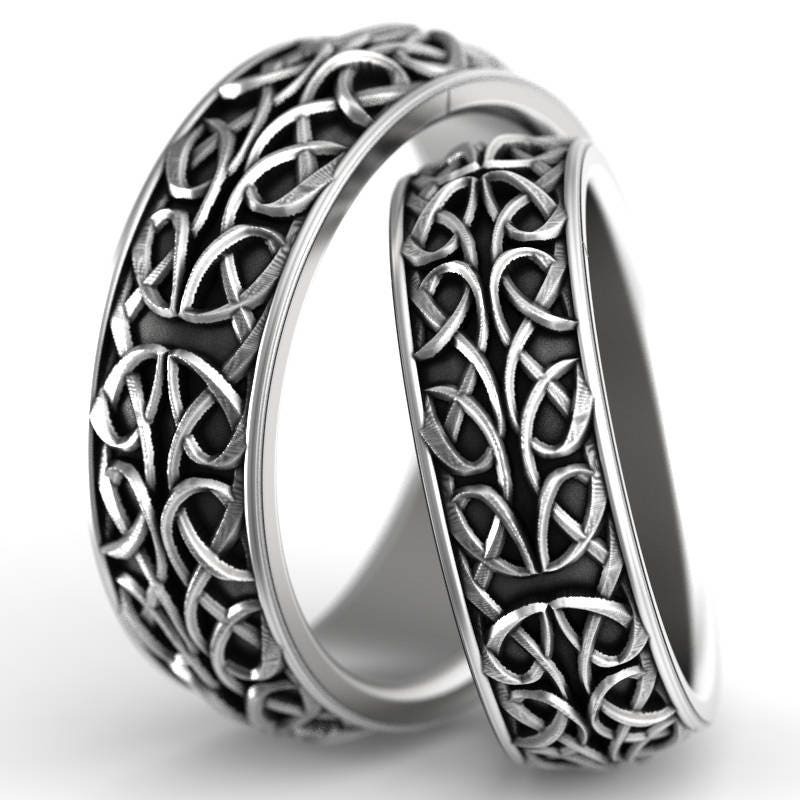 An intricate and fascinating design, these rings combine the Celtic Dara and Pretzel knots in a complex and elegant manner. 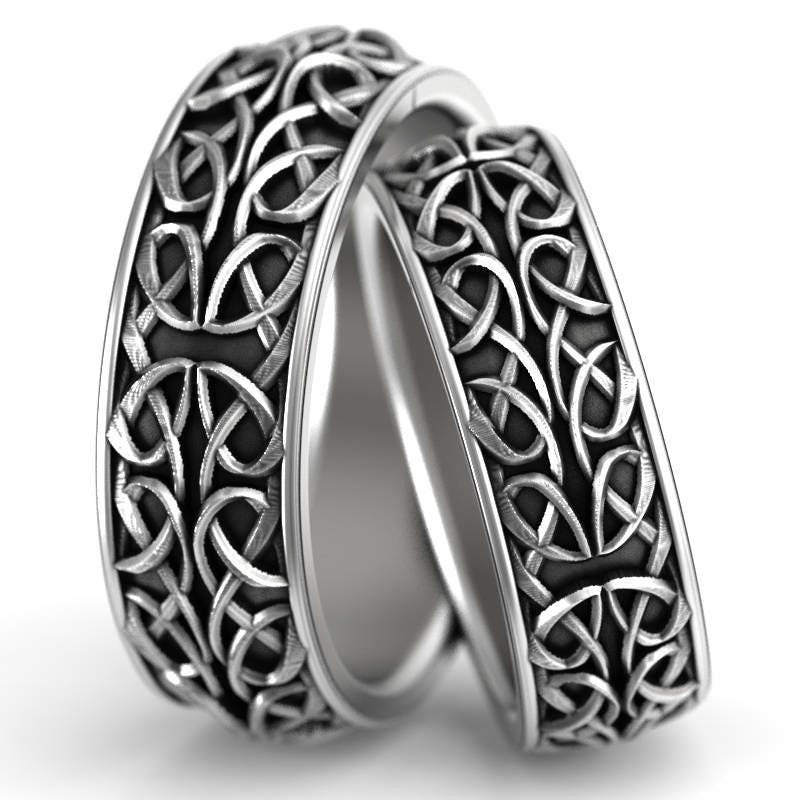 These stunning cut-through bands contain within their bold rails a finely interwoven design, combining the Pretzel knot and the Dara knot, which is mirrored and woven endlessly into one another. 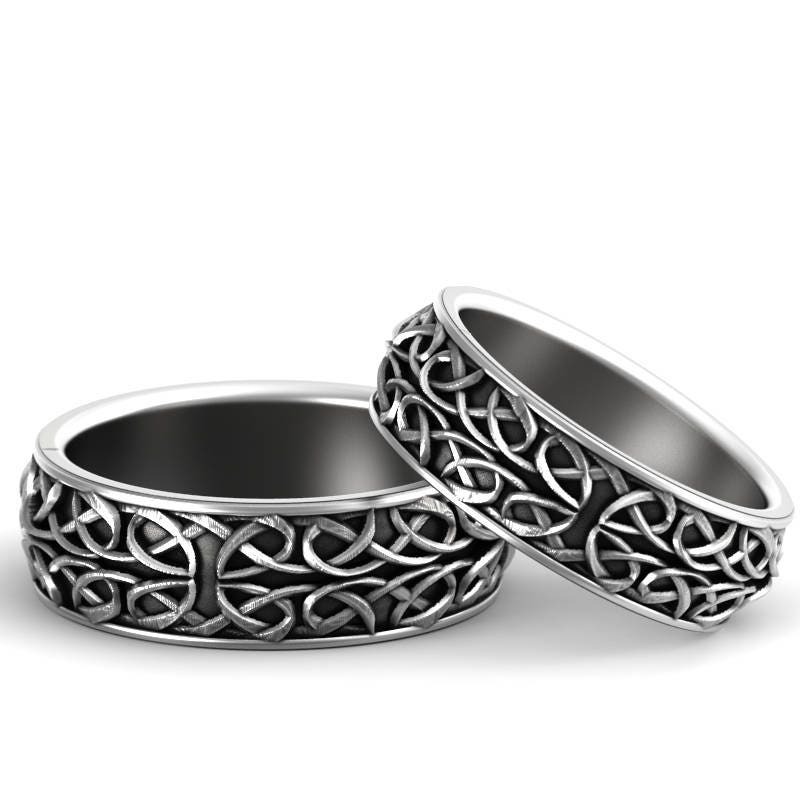 A most exquisite set of rings, they symbolize the intricate ways in which two lovers unite, and how their shared love is as endless as the sacred knots that embody these rings of love! 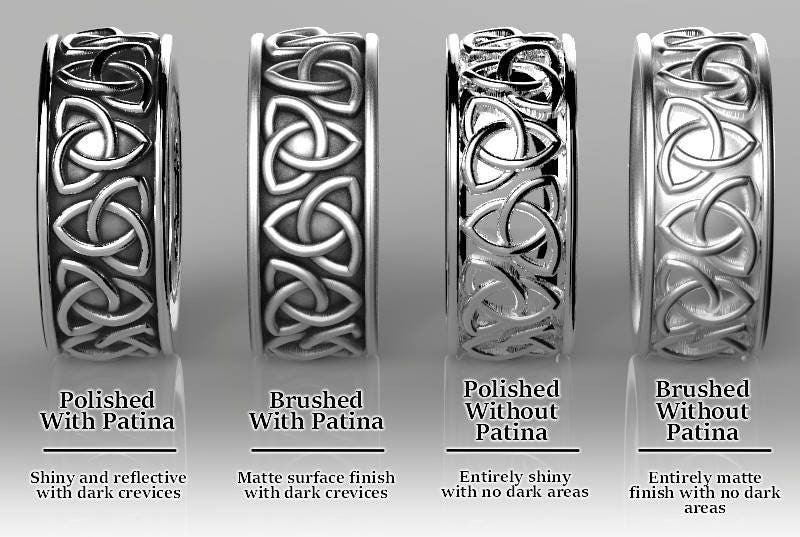 Cast in solid sterling silver, these rings are made of 100% recycled metal. We can make these in either a polished or brushed finish, please let us know which you prefer when ordering. THIS LISTING IS FOR A SET OF 2 RINGS! For ring sets, Etsy has not yet made it possible to add a second option for the second ring size. 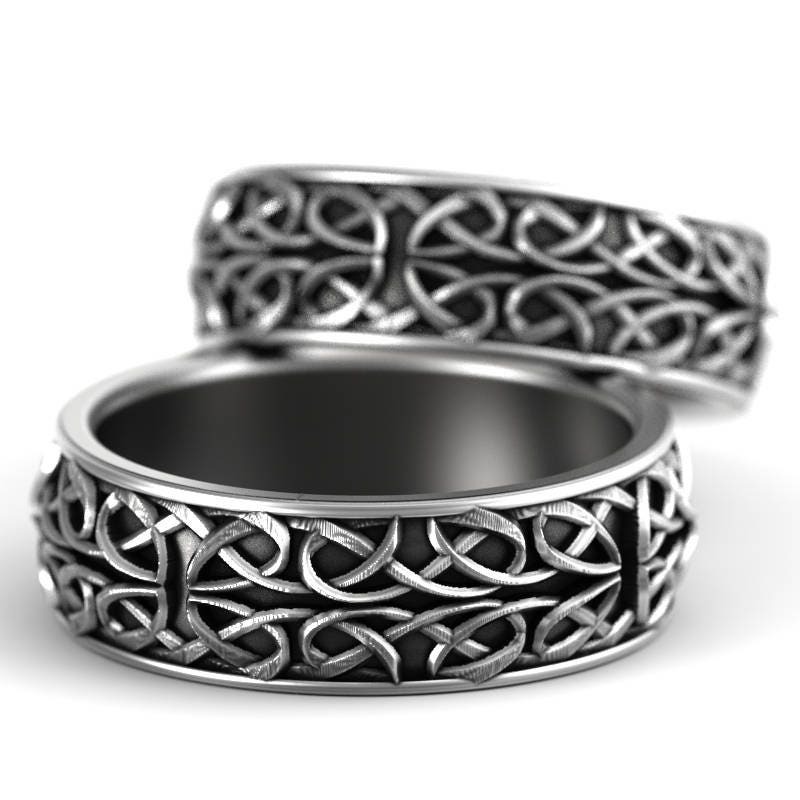 When placing your order, please select the size for the first ring, and then add the second ring size in the notes section. Please allow up to 2 to 3 weeks for your item to be made and shipped, we do sometimes get a bit busy depending on order volume. Most will arrive within 5 business days of shipping. Rush delivery available upon request, please message me if you have a specific request, or buy rush shipping in our store.